How far back does the “atoms vs. bits” idea go? Did anyone talk about it before Nicholas Negroponte in “Being Digital“? – It has to be actual bits, i.e., binary units of information. So, no fair tracing it back to Plato’s Cave. – I’m not asking about Negroponte’s particular idea in “Being Digital,” which contrasted economies built on atoms with ones built on bits. I’m actually interested in the sense that there are two semi-equivalent realities, one built of atoms and one built of bits. – I’m not looking for “Its are bits” physicists who say the universe is made of information. I’m looking for the idea that bits are different from atoms, but deserve to be on a roughly equal footing…at least to the extent that the phrase “atoms vs. bits” makes sense the way “atoms vs. weekends” does not. Any pointers, corrections, or exasperated sighs are gratefully accepted. Do you mean ‘bits’ as building block? Do you mean ‘bits’ as indivisible unit? 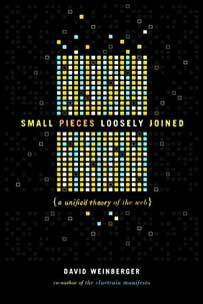 The idea that the atom is the smallest item of matter, and the bit is the smallest item of information? There’s also the practical difference between material objects and intellectual objects – hence MP and IP. We could say that one was built from atoms and the other from bits. Also, one is apprehended with our bodies, and the other our minds. Finger in the breeze for windage sum all primes between 42 (see Douglas Adams) and 4×10^79 (a lowball estimate of the number of hydrogen atoms in the universe) in a pulsed magnetic resonance field when t < 0 yields Max Planck, 1906. But seriously, Negroponte’s bits/atoms conceit, Kurzweil’s cyber-utopian dreams of replicant nanotech and digital storage of affect, and the Amazon Kindle each define some boundary points on the man/machine interface and the symbolic information/physical world relationship. The Federal Digital System will be a world-class information life-cycle management system that will transform the U.S. Government Printing Office into a leading content management agency. The system will be designed to accept, organize, manage and output authenticated content for any use or purpose and to preserve the content independent of specific hardware or software. The first public release of FDsys is scheduled for late 2008. “it from bit” is an expression invented by (or at least attributed to) John Wheeler. 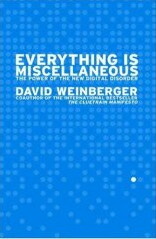 See this rather rambling entry: http://en.wikipedia.org/wiki/Digital_physics . Perhaps what unites the two terms is they have, at different times, both been considered fundamentally indivisible parts of nature. If this is their common principle, the tradition of building on binary divisions traces back very deep. I’d begin with John von Neumann whose Quantum Mechanics (1932, see the end especially) divides the atom into numbered, informational (i.e. entropic) terms. His work came before the bit was named, which makes it that much cooler. Here’s a few from Borgmann’s sometimes grumpy, sometimes brilliant book Holding onto Reality, pp. 141-142: Leibniz’s “Imago Creationis” could be built out of divine unity and formless nothing, one and zero; Saussure thought “in language there are only differences… differences without positive terms”; Heidigger’s identity and differences in humanity, reality, and technology; and Babbage’s 1822 “difference engine,” a decimal information technology. Jerome Segal does the deep twentieth century history on this really well in his Le ZÃ©ro et le Un – Histoire de la notion scientifique d’information: http://livre01.free.fr/. All preamble to the Wheeler line, but none of it, except the von Neumann, captures the atom and the bit in the same screen shot. Oh, and on the term, “bit,” check out H.S. Tropp, “The Origin of the Term Bit,” Annals of the History of Computing 6 (1984): 152-155. Also titled “Anecdotes.” Here we find out that John Tukey not only coined “bit” before 1947 but he probably did so with colleagues over a lunch table at Bell Labs with a grin on his face. Shannon also used “alternative” before he used “bit.” We may all be grateful, it also points out, that the synthetic words “binit” and “bigit” (really!) never took off. Here’s to word play! Thanks for your generosity. Very helpful. Sheesh… Atoms have boundaries, Bits do not; although not a requisite, conceptually and perceptually one may be within either while also in the other; more importantly, the capability of realization to yield an Atom within Bits implies something of a boundless nature to the Atom.